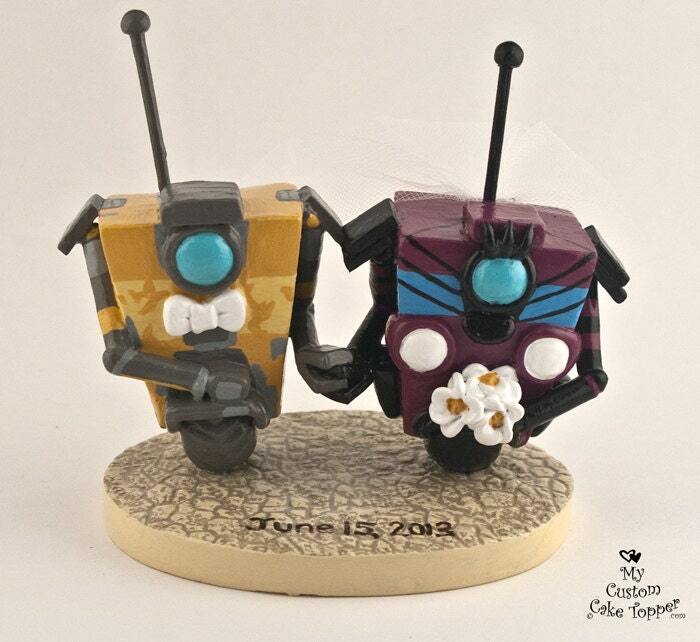 Claptrap Borderlands Wedding Cake Topper. 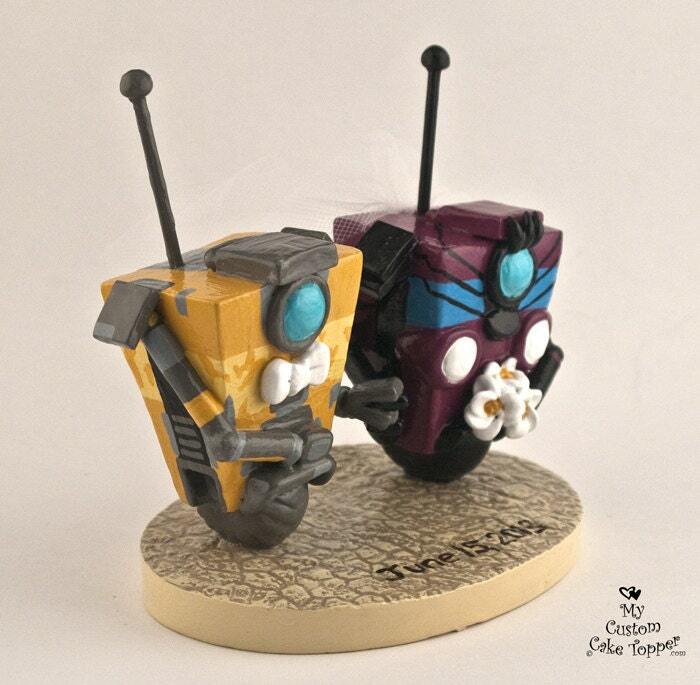 Claptrap and Claptrapette from the Borderlands game, perfect for the gaming fan! 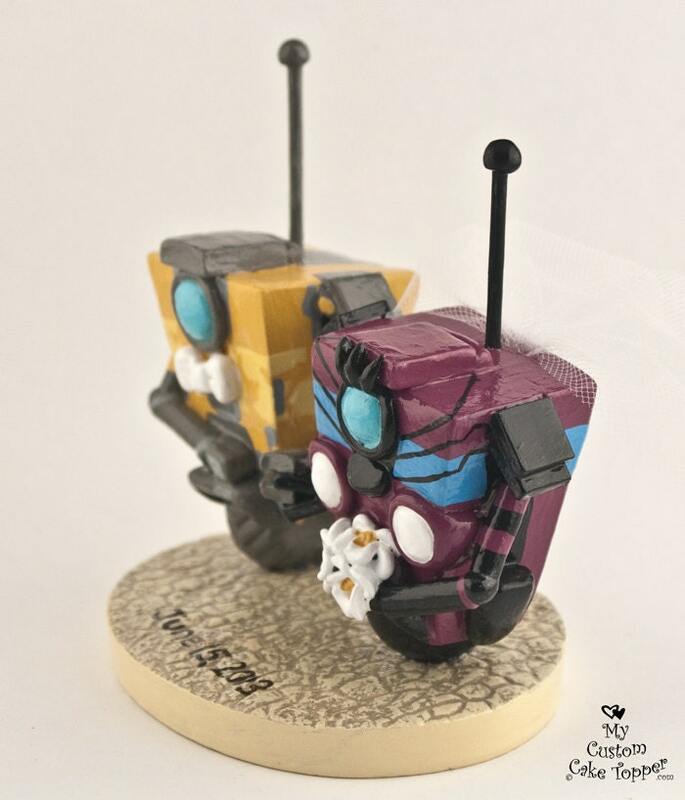 The Claptrapette is designed by the original creator of Claptrap!!! These are examples of previous toppers I have made. All of my works are non-toxic and can last a lifetime with proper care, a perfect keepsake from your special day. The pair are approx. 3.5" tall without the antennas, the base is almost 5" long by 3.75" wide. Antennas are removable. Every sculpture is made to order and is unique, so it might vary slightly from the examples shown. 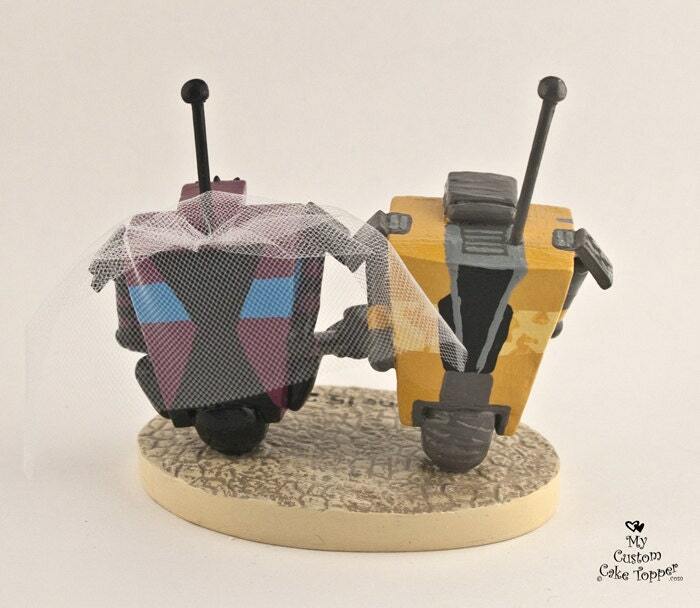 These amazing robots are cast from my original sculpture, hand painted and detailed. 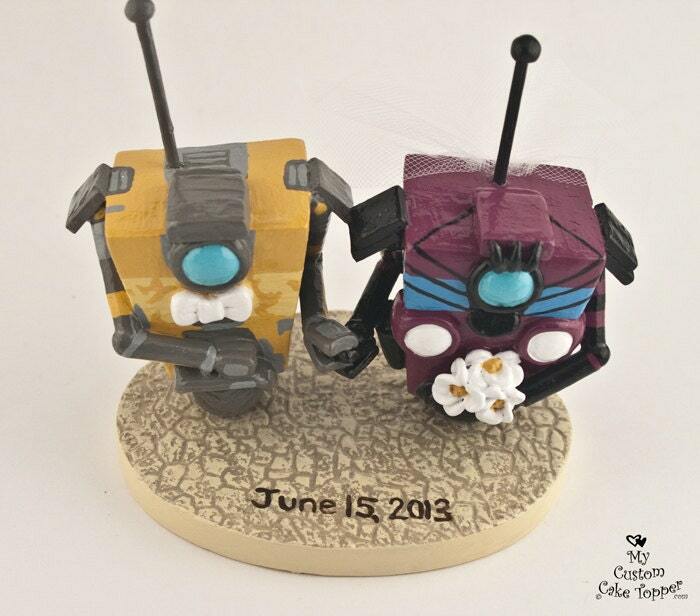 Absolutely LOVE our Claptrap cake topper! It's bigger than I thought and absolutely beautiful. It was shipped quickly! I would highly recommend this product to anyone. Great communication and (from what I can tell since I shipped it somewhere else) it looks absolutely amazing! Fast shipping and well packaged. Wonderful craftsmanship and attention to detail; customization spot on! Thank you so much!